Ukrainian World Cup competitor Fedir Samoilov finished his climbing holidays in bad climbing conditions (it was cloudy, humid & cold), but still clipped the chains of the super crimpy testpiece Popolni mrk (8c) in the central part of Mišja peč. 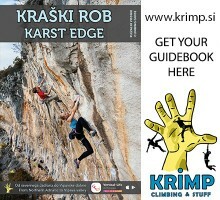 When he went back home, perfect climbing conditions returned, so Jaka Šprah fired Nočna kronika to the top (8b), the extension of beautiful 7c with a no hand rest at the first chain, followed by crimpy boulder, dyno move, ok rest, and another tricky crux to reach the anchor on the top of Mišja peč‘s wall. Then another Slovenian, Jakob Bizjak redpointed totally artificial power endurance Marioneta (8b/b+), also in Mišja peč. 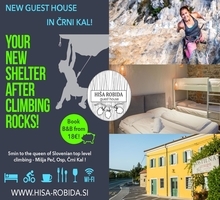 Croatian youth climbing team was in Mišja peč for almost a week. Their »coach« Nikola Karamarič executed and showed the youngsters how it’s done by onsighting Iglu (8a), flashing Zadnja skušnjava (8a) in sector Babna above the village of Osp and finally squeezed all the bad crimps of Eagles (8b) and clipped its chains on his third try. As well, many Austrians were in Mišja peč these days. 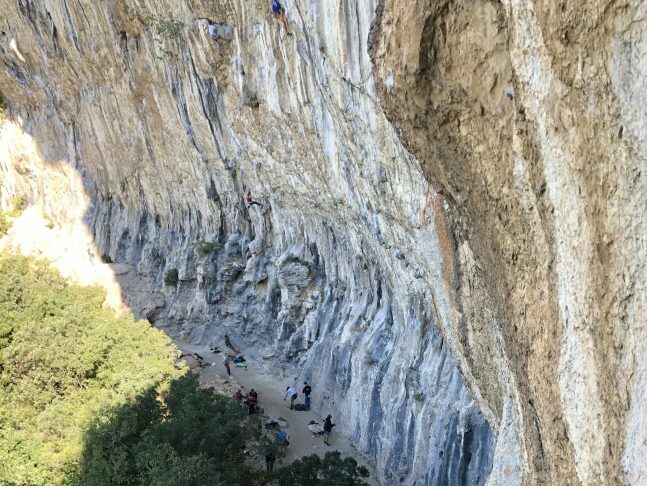 Jakob Greistorfer from Graz climbed the classic powerfest Missing link (8b+) and onsighted 30 meters long beauties Uživancija and Albanski konjak (both 8a). Another Austrian, Nico Ferlitsch from Villach ticked Karizma (8b+) and a long traverse in the left part of Mišja peč named Lazuret (8b). Gianmarco Visca, Italian from the Dolomites smashed his first 8c ever, the majestic 55 meters long king line first ascended by Klemen Bečan, Osapska pošast in the big cave of Osp. Besides Mišja peč, Jakob Šparovec was climbing in scenic Kompanj where he succeeded in one of the best lines over there, Rainini (8b). 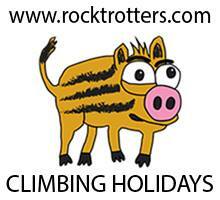 For now, the climbing conditions in Istria remain super good with OK weather forecast in the next days.